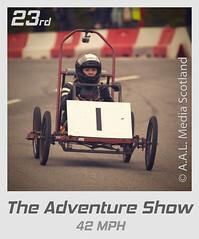 CSEx on the Adventure Show | Cairngorm Soapbox Extreme - The UK's longest and fastest gravity race. Submitted by Cairngorm Soapbox on Wed, 02/08/2012 - 13:34. Those of you unfortunate enough to live outside of Scotland can see it on Sky 990, Freesat 970 and BBC iPlayer.